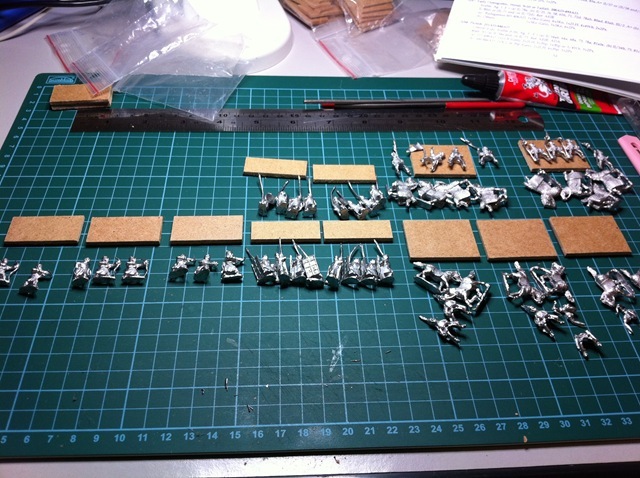 Having selected the Koguryo Koreans (book II, list 76) for the Book I or II DBA competition day at Cancon 2013, I started to get around to preparing them for painting last night. The figures come from Alain Touller Figurines of France and are quite neat. 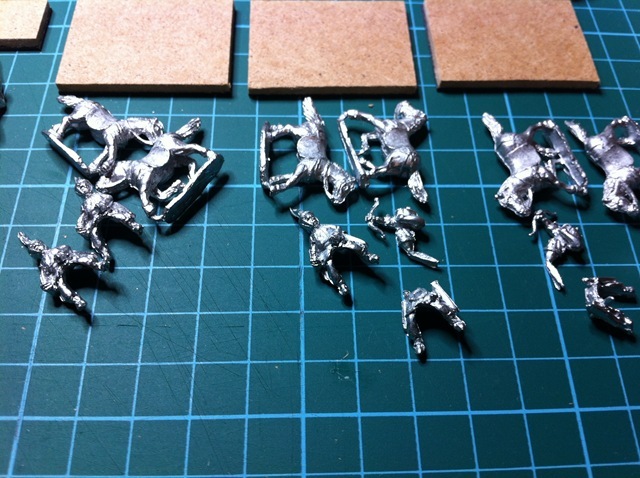 The light cavalry horse archers come with a separate torso allowing the figure to be pointed in different directions. Last night was spent starting to prepare the figures for undercoating and painting (I was doing this whilst installing Windows8 on my laptop – there is another saga). The first step was getting some bases ready. 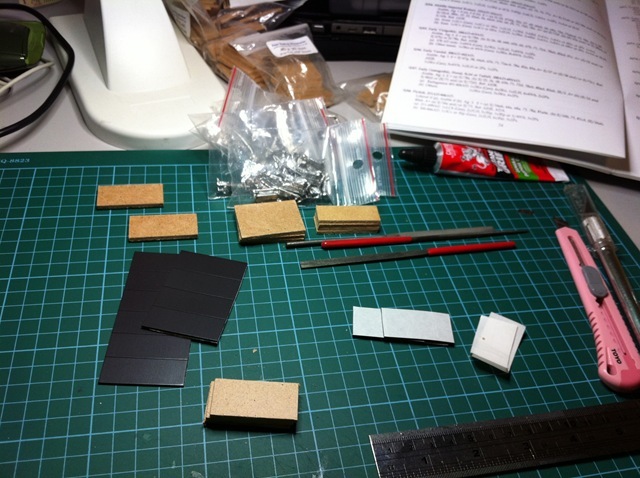 I had some pre-cut MDF bases from East Riding Miniatures that I had purchased a while back. I also had been purchasing packets of magnetic tape from OfficeWorks in Sydney. They do a pack of 50 magnets pre-cut to 40mm x 15mm. What a heavenly size for a wargamer. Four magnets for the Spear and ten for the mounted troops. The Bows and Psiloi bases I used some 20mm wide tape I had purchased at the Stationery Store in the Funan Digital Mall (on the second floor). It was then a matter of sorting out the figures and starting to clean up the flash on them. You can see the army laid out to the right here. Psiloi on the left, then two bases of bows (one of bows and one of crossbows), four elements of Spears with two different figures making them up. To the rear are the Cataphracts and to the front the Light Horse. As far as cleanup went last night, I got as far as getting the Psiloi and bows cleaned, tidied up and stuck to their base. Tonight’s plan is to clean up the rest, stick them to their bases and then glue sand to the bases before undercoating. I have not tried this method of painting before where you base the figures first then paint them on the bases so I am interested to see how well that works for me. I will also need to start on some uniform research for the Koguryo and of course, I also have to decide on the Book III or IV army for Cancon 2013. Lastly, a photo of the Light Horse. The grid in the background is 1cm square – if you click on the picture you should be able to get a reasonable close-up of some of the figures. https://thomo.coldie.net/wpg2-2?g2_itemId=199 is the start of the items of the SamGuk SiDae Period which covers these guys. Some of the photos I may have to pass through some enhancing software to sharpen them up but hopefully they will give me enough of a start.